To find products in our store, you can browse through our titles and categories. Browsing using the 'Shop by Products' feature will take you to pages pertaining to the selected category. You can scroll through the items that are available within the menu at the bottom of your page. Click on any product image to view it in greater detail with a description and price. Throughout the site, you will see products with buttons to proceed to order. Clicking on these buttons will allow you to order products from our site. You may choose among these three ways to place an order: First, we encourage you to come and visit us in New York in person. To place an order by phone, please call 800-871-1066 between 9:00 am-10:00 pm EST Monday-Saturday. At any time, you may order items from our merchandise selection on our website sndgems.com. For deliveries within the State of Ohio, there is a 5.75% sales tax added to your order. We do not charge sales tax for out of Ohio State residents. You can order online and receive package at your home for free complimentary shipping or you can visit our store in New York to order, make payment (with copies of payment) as well as pick up your order in person later. 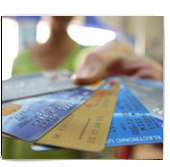 We accept Visa, MasterCard, American Express and Discover for all orders placed through Sndgems.com. You will be prompted to give us information about your method of payment at the appropriate point in the checkout process. For deliveries within the State of Ohio, there is a 5.75% sales tax added to your order. We do not charge sales tax for out of Ohio State residents. We also accept certified checks and money orders payable to Sndgems.com. We offer payment plans on case by case basis. Please call us at 800-871-1066 for more payment options and payment plans. APO/AE Orders: Since we are located in New York, we cater to thousands of international clients every year. For online purchases, we are able to process international purchases by wire transfer and credit card. Dependent upon your country of origin, there may be additional duty or VAT fees due. We also ship to APO addresses via US Post Office. The purchaser is responsible for any fees that may be incurred. To inquire about shipments to any where outside of the US, email us at custservice@sndgems.com with your order request and we will provide the applicable shipping charge; or, please contact customer service at 614-921-9024 or 212-398-7974 between 9:00 am-10:00 pm eastern standard time. View Details. Many orders may be able to ship more quickly, but each piece of jewelry is created by hand to your specifications after you place your order. In counting delivery days, you should count business days only. We also ship to APO addresses via United States Post Office.